A team of Father & Son, providing quick response time so damage to your home is minimised. For a rapid response to your burst water pipe call Same Day Hot Water Plumbing & Gas. 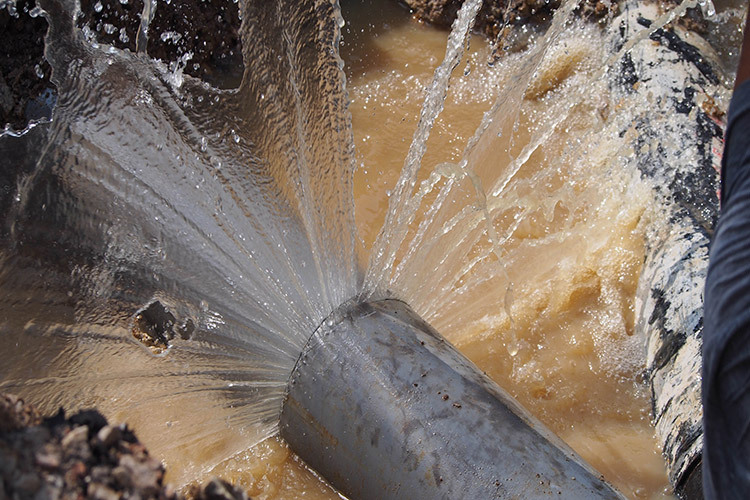 A burst water pipe can cause serious damage to homes and businesses. Often burst pipes result from pressure building overnight due to rusty or weak pipes giving way. At Same Day Hot Water Plumbing & Gas, we will locate the cause of the burst water pipe to prevent further damage to your property. We will complete the burst water pipe repair or replacement quickly and effectively. Same Day Hot Water Plumbing & Gas is the name you can trust when it comes to plumbing emergencies. We are a family owned and operated plumbing business with over 30 years experience, we are local plumbers with local knowledge of the area and surrounds. We are available 24/7. So for all plumbing emergencies in Perth, don’t hesitate to contact us. When you have a burst water pipe, broken water pipe or just need some water pipe repairs, don’t stress. Call Same Day Hot Water Plumbing & Gas.